Edward Medina is the author of Mathias Bootmaker and the Keepers of the Sandbox, Book One: It is Said and was excited to participate in the following interview. What inspired you to write Mathias Bootmaker and the Keepers of the Sandbox, Book One: It is Said? Many years ago I was a New York theatre director, working on several shows and getting ready for my first film project. I was on the ‘A’ train heading into the city with a friend when there was a delay. There we were stuck in a tunnel. It took a while. My friend asked me if I would ever work on a project for a younger audience. At the time I said no. I just wasn’t interested. She pushed her point and asked me to apply my imagination to the task. I thought about it and started to lay out a story based on a world were all things for imagination come from. The story always stayed with me and continued to grow. It finally became the Mathias Bootmaker Trilogy. Now it’s a story with a very deep message for people of all ages. With your book being likened to a blend of [Lewis] Carroll and [Stephen] King, were you influenced by these authors as a youngster or as a writer? I was always a reader from a very young age. I read Dracula and Frankenstein when I was seven. I went to a Jesuit high school and the summer before my freshman year they gave each student a list of one hundred books. We had to pick twenty and read them before the first day of classes. The Alice books were on that list. I was mesmerized by the depth of his worlds. I discovered Stephen King years later. The Stand was my first. I loved it so much that I just started devouring his work. I love the rhythm of his writing. It was the first time I discovered that a writer could have a voice. It was as if he was whispering his tales in my ear. People that have read my work say I have a similar tone and sound. I’ll take that compliment anytime. (I would have loved to have been given a list of 100 books, at that age. By comparison, I think compulsory reading at my school included less than 4 books each year). Being a fan of author Stephen King myself, I have to ask, what are some of your favorite books by Stephen King? Well there are a lot of them that I love. The Stand is at the top of the list. Carrie is brilliant and the story goes that he hated it and threw it away. His wife found it in the garbage, read it, gave it back to him and told him to rework it and get it out there. Best ever killer clown in history is in IT. Best killer car is in Christine. That is an amazing book for a lot of reasons. Pile on those any and all of his short story anthologies and I’m a happy puppy. King fans will say… but what about… and I would say… I know, I love that one too. Whenever and wherever the muse strikes and the words flow. Usually late at night when the world around me is asleep. Yes, I do. The choice of music usually depends on what I’m working on and it could be just about anything. I have rather eclectic tastes when it comes to music. But most times when I write I’ll have some great movie on TV playing quietly in the background. I was a latch key kid so I would come home and do my homework with the television on. That habit stuck. What advice would you give writers in the fantasy genre? Don’t hold your imagination back. Don’t limit your world to conventional thinking. Read what everyone else is doing then do something else. Read the great fantasy writers of the past. They knew what they were doing and they had lessons to teach us about the world we live in. When will Book Two in the series be published, and what's the title? Book two of the Mathias Bootmaker Trilogy is titled, The Academy Darke. No spoilers here if you haven’t read the first. You’ll enter the mysterious castle with the terrible past and spend some time there learning a great deal more of the world I created and the haunting that exist there. Target release date is December of this year. I like to think of it as a spooky holiday gift to my readers. (Sounds exciting). Right now I’m working on a few things all at once. There’s a preview I’m releasing for one of my books coming out in 2012 called X Pirates: Nightthorn’s Revenge. The preview of this very different pirate adventure, is in the form of a prologue that tells the origin tale of the books villain, Benjamin Nightthorn. The prologue itself is called A Murder of Crows. The other book I’m working on at the moment is a tale that is very near and dear to my heart. The Upiies of Isla Mona is a very special little story about a very special little family that live on a very special little island. 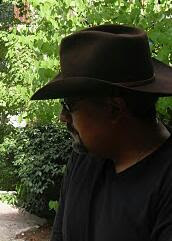 Your followers should head on over to my authors page for previews and samples of my current and upcoming works Edward Medina I’ll be there to meet them and answer any and all questions. Thanks for your time Ed!